 Posted November 28, 2018 by Sydney Criminal Lawyers & filed under Criminal Law, NSW Courts. In January 2012, former regional NSW solicitor Denise Elizabeth King was retained by a client to represent her in proceedings regarding whether she could take her daughter overseas for a prolonged period with her partner, who was not the child’s father. By May that year, the client had raised concerns about the costs she was incurring for Ms King’s services. And the solicitor forwarded a costs agreement to her client, stating that she should have done so at an earlier time. Negotiations with the child’s father in late September resulted in an agreement that the child could be taken overseas for the period of eight months in 2013. However, when the judicial officer dictated the consent orders over the phone, the dates were incorrect. The period was shorter than the eight months agreed to. And the father subsequently refused to allow the dates on the orders to be corrected. On 28 September, Ms King forwarded her client an invoice for $1,330 to cover her work in drafting the consent orders. This was after a previous estimate of $285 had been provided to the client. And the solicitor requested that the payment be made immediately. The client’s partner then contacted Ms King via email. He said he’d been in contact with the child’s father, and had resolved the matter. He also referred to the consent orders, stating that they contained a number of errors that should be cleared up before any payments were made. An examination of the consent orders found they were produced by software used by a legal form provider and they were copied from a form produced by another firm of solicitors. The documents included reference to individuals not involved in the proceedings, including Homer Simpson. On 3 October, Ms King emailed her client outlining that it was not necessary to obtain the signatures of each party on the consent orders, as only the judicial officer had to sign off on them. She then once again demanded immediate payment of the invoice. In a response to Ms King’s email sent shortly afterwards, the client complained about the way in which the case had been handled, specifically pointing to the documents containing false names and the initial requirement of the signatures of each party when they weren’t actually needed. The client further stated that Ms King’s services were no longer required, and she would not be paying the outstanding charges, as she’d be “taking the matter further”. Ms King responded that if the client didn’t pay, she’d commence debt recovery proceedings against her. Then on the same day, Ms King sent an email to the associate of the judicial officer presiding over the matter. She referred to the “defamatory allegations” made about her by her client. And she denied any awareness of documents that contained the name Homer Simpson. The solicitor claimed in the email that the consent documents were made by the child’s father in order to cause problems. And she further referred to her client’s allegations of excessive charges and denied the claims were true. Following the sending of the email to the judicial officer’s associate, Ms King then sent another email to the client expressing disbelief over the Homer Simpson allegations and now threatening both debt recovery and defamation proceedings if she didn’t receive immediate payment of the invoice. The Council of the Law Society of NSW brought legal proceedings against Ms King seeking that her name be removed from the NSW roll off lawyers based on allegations of professional misconduct and unsatisfactory professional conduct. 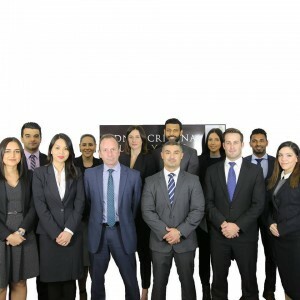 The Law Society alleged that the solicitor had acted against the interests of her client in forwarding a letter and email to the associate of the judicial officer in which she discussed matters that were derogatory to her client. It also alleged these communications breached client confidentiality. Further, the Law Society alleged that Ms King acted in a threatening manner by improperly demanding immediate payment of the invoice, as well as threatening to instigate defamation proceedings. The Law Society asserted that all of these matters constituted professional misconduct. And in regard to the late provision of a costs disclosure, the Law Society put forth that this was a matter of unsatisfactory professional conduct. The case against Ms King was heard in the NSW Civil and Administrative Tribunal (NCAT) on 7 September this year. The proceedings were initially instigated by a complaint made by the client to the Legal Services Commissioner. The tribunal panel was made up of Principal Member Francis Marks, Senior Member Peter Moran and General Member Elayne Hayes. Ms King – who now lives in Victoria and no longer works as a solicitor – was not present at the proceedings. The NCAT considered a letter written by Ms King to the Law Society’s Professional Standards Committee in late 2012, in which she “vehemently denied” producing the documents that contained the name Homer Simpson. The solicitor also explained in the letter that she believed it was her duty to inform the court of the false allegations that her client had made against her regarding the documents, along with her belief that her client could not be trusted to follow the consent orders. The NCAT members made clear that they were not persuaded by the Briginshaw standard that the documents that contained the name Homer Simpson were produced by Ms King. The Briginshaw standard requires a higher degree of satisfaction than the normal civil onus of proof. However, the members were “comfortably” satisfied to the Briginshaw standard that the email Ms King sent to the judicial officer had breached client legal privilege as it disclosed confidential information. The members were also satisfied to the standard that Ms King had engaged in threatening behaviour by demanding immediate payment for her invoice, along with the threats to instigate defamation proceedings. And furthermore, the NCAT found that the solicitor didn’t make costs disclosure in accordance with section 309 of the Legal Profession Act 2004 (the Act). Section 311 of the Act stipulates this must be done made “in writing before, or as soon as practicable after, the law practice is retained”. This Act was repealed and replaced by the Legal Profession Uniform Law on 1 July 2015. However, the new legislation provides that a complaint or investigation begun before its commencement can be dealt with under the earlier legislation. According to the NCAT members, a client is entitled to rely on a solicitor to represent their bests interests. And this includes the solicitor communicating information to the court which will advance their client’s case, as well as refraining from divulging information that’s inappropriate. The tribunal found that the information Ms King communicated to the associate of the judicial officer constituted a failure by her “to maintain the reasonable standard of competence and diligence a member of the public is entitled to expect of a reasonably competent solicitor”. And for this reason, the members ruled that Ms King was not a fit and proper person to engage in legal practice. And when taken together, the questionable behaviour of the former solicitor constituted professional misconduct. On 19 September this year, the NCAT members ordered that the name Denise Elizabeth King be removed from the local roll. The tribunal ordered that the former solicitor pay the court costs of the Law Society of NSW. And it was also left open for the Law Society to make a claim of compensation on behalf of the client, which had to be exercised within two months of the orders being handed down.